Your Next Stamp - Challenge #67 with Phoebe & Pets Card! Hi friends! I'm back today with my last post as Guest Designer this month for the fantastic Your Next Stamp!! 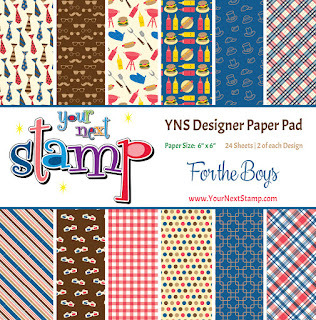 I have had so much fun working with all the amazing products and designers, and I'll definitely be sharing more fun projects using YNS supplies in the future! And for my project, I've chosen to use both challenges! I used my Distress Inks to sponge on a resist background paper to create an ombre effect using the purples and grey from the colour challenge. I stamped on watercolour paper with Antique Linen Distress Ink so that I could do a no-line watercolouring technique using Distress Inks and Prima Watercolor Pencils using the super cute Phoebe and Pets stamp set. 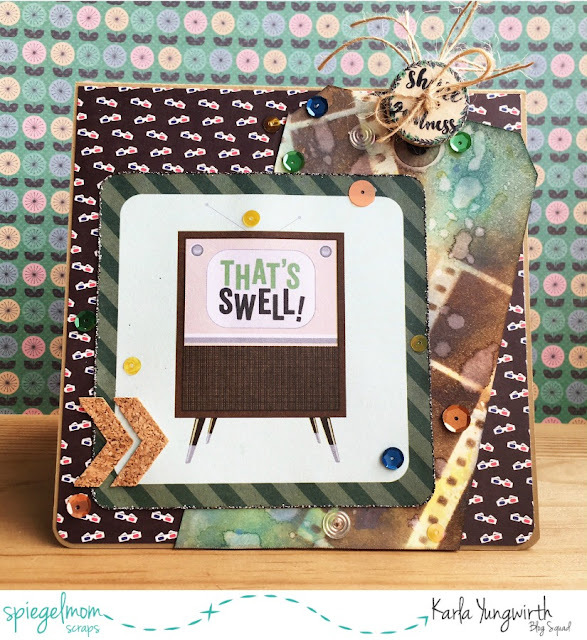 The Polaroid frame is a Cricut diecut and I used a sentiment from the stamp set to add some fun to the front of my card - who could help smiling when they opened this card?!! I added a couple leaves of lettuce stamped on green paper with Distress Ink - popping them up slightly to add a bit of dimension. 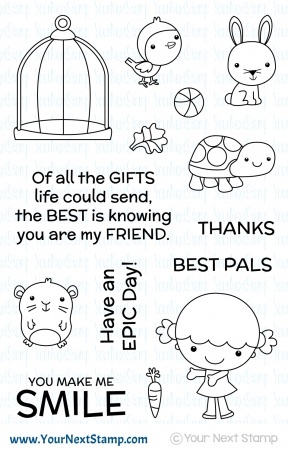 Inside, another of the awesome sentiments and another adorable bunny!! I grabbed a few SpiegelMom Scraps sequins and some Your Next Stamp Sparkly Gumdrop enamel dots for the finishing touches to my card! Thanks so much for stopping by, and a big thank you to Your Next Stamp for having me as a Guest Designer this month! 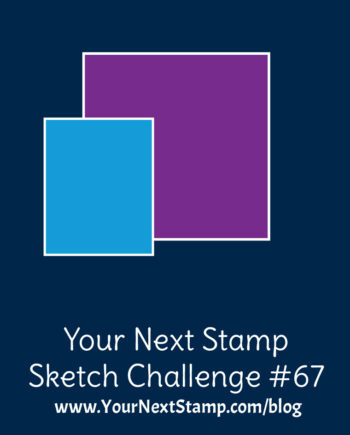 Be sure to head over to the Your Next Stamp blog to check out all the other Design Team members take on this challenge - and enter your own for a chance to win! Hello friends! I'm so super excited to share with you the newest Wild Whisper collection - Strong & Free! It is an amazing collection of patriotic papers just perfect for any Canada Day projects - but just wait!! Even if you're not Canadian - you've just gotta have these gorgeous papers!! They coordinate beautifully with all the other collections and the colours and designs would be perfect to go with any outdoor themed project. 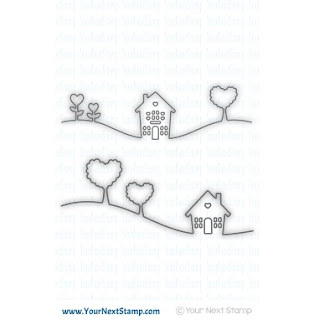 And the stamps.... to die for! Be sure to check out the full collection at the Wild Whisper shop. 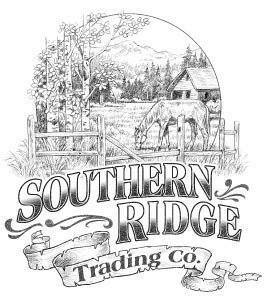 Here's my project that I'm sharing on the Wild Whisper blog today. 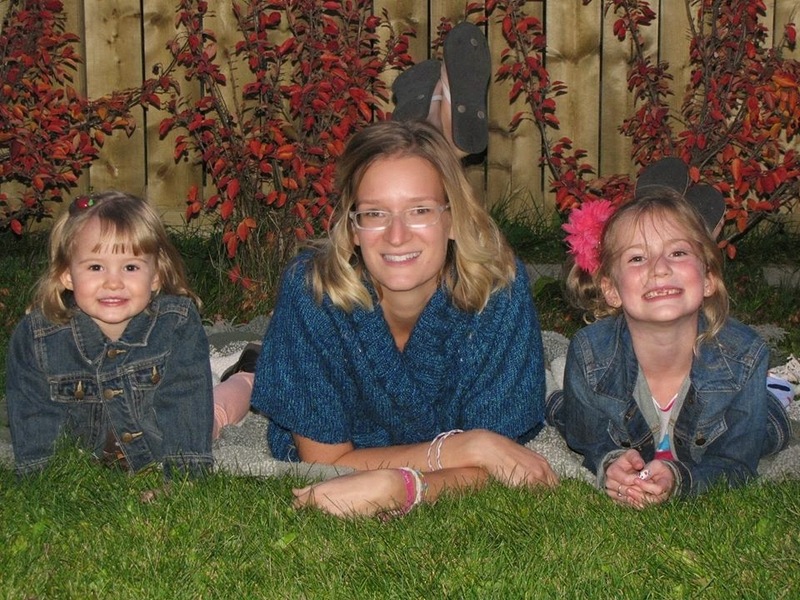 I created three projects - a banner, a frame and a decorated flower vase- to decorate my mantle for Canada Day. 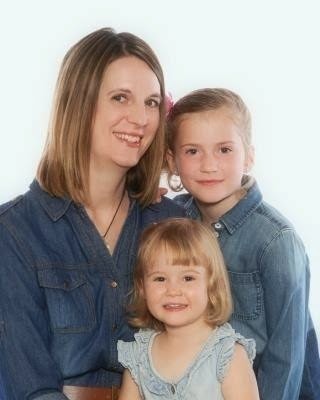 They are so beautiful that I'm definitely going to be leaving them up for a lot longer though! Here's the link to the process video showing you all the fun I had creating! 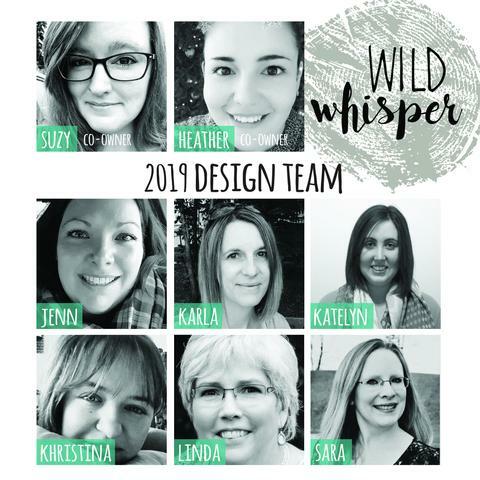 You can check out all the details and closeups on how I created the banner, framed art and decorated flower vase on the Wild Whisper Blog, and be sure to check out the new collection, Strong & Free in the Store! Make a project about patriotism in any country! I was so excited about the challenge this week since it's Canada's 150th birthday this year on July 1st! I love the Canadian logo that has been designed to celebrate, and I knew I wanted to use it on a Happy Canada Day card, so I saved a photo from an online search and uploaded it onto Cricut Design Space and then saved that as a cut file. I was so pleased at how nicely the maple leave cut out! 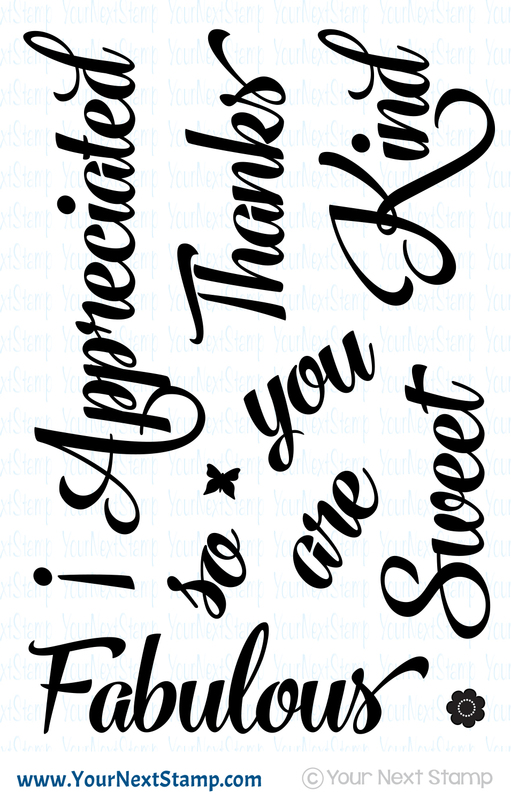 I layered it over the Celebrate Card cut, which is a background of tiny circle cuts from the Simple Celebrations Cricut Cartridge. 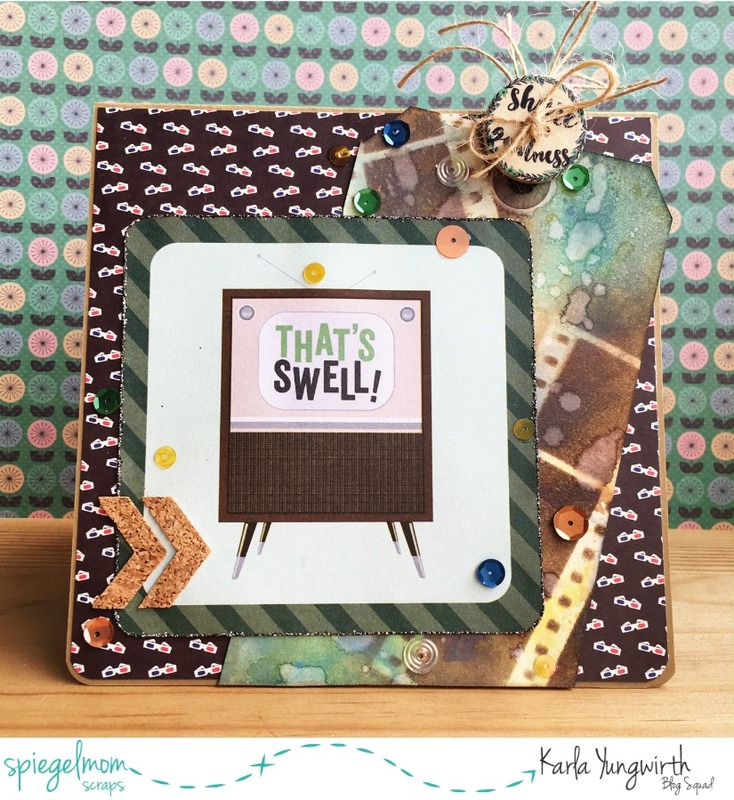 I am really loving the Wild Whisper Strong & Free Collection, new this month, and I knew it would be perfect to add to my card! 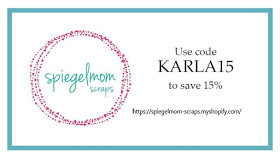 I'll be sharing lots more from this fabulous collection all month long! 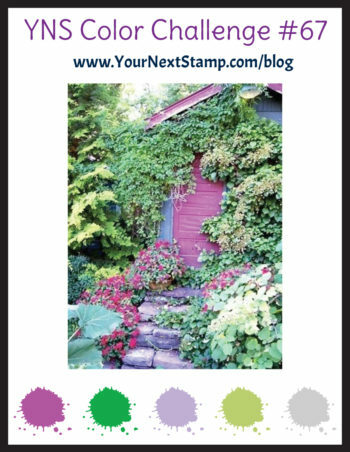 Over on May Flaum's blog she's holding a FREE Camp Scrap class with lots of daily inspiration, and her challenge to use Stamps was just the inspiration I needed to grab these awesome new Wild Whisper Strong & Free Stamps for my card. She also reminded me to use those smaller stamps - so I grabbed some patriotic emblems and stamped both on the outside and the inside of my card! I added a bit of shimmer from some Tim Holtz mica spray on the yellow background under the diecut card base, which gives a little shine peeking through. 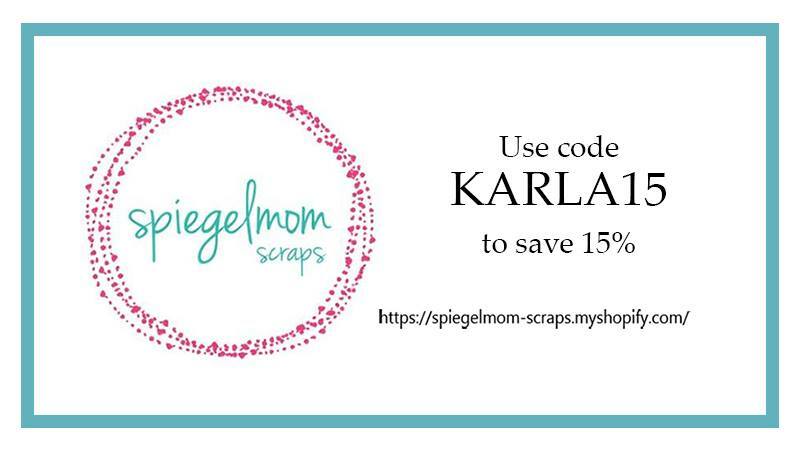 And, of course, I had to add some pretty SpiegelMom Scraps sequins for a little extra bling! I can't wait to give this to someone special to help them celebrate Canada Day too! Thanks so much for stopping by today! Be sure to head over to the Fantabulous Cricut Challenge Blog to see what all the other designers have come up with today - and enter your own patriotic project with a Cricut cut for a chance to win! Hello friends!! I'm back today with some more awesome stamps from Your Next Stamp!! I'm so happy to be Guest Designing with them this month, and I'm so impressed with their amazing stamps! 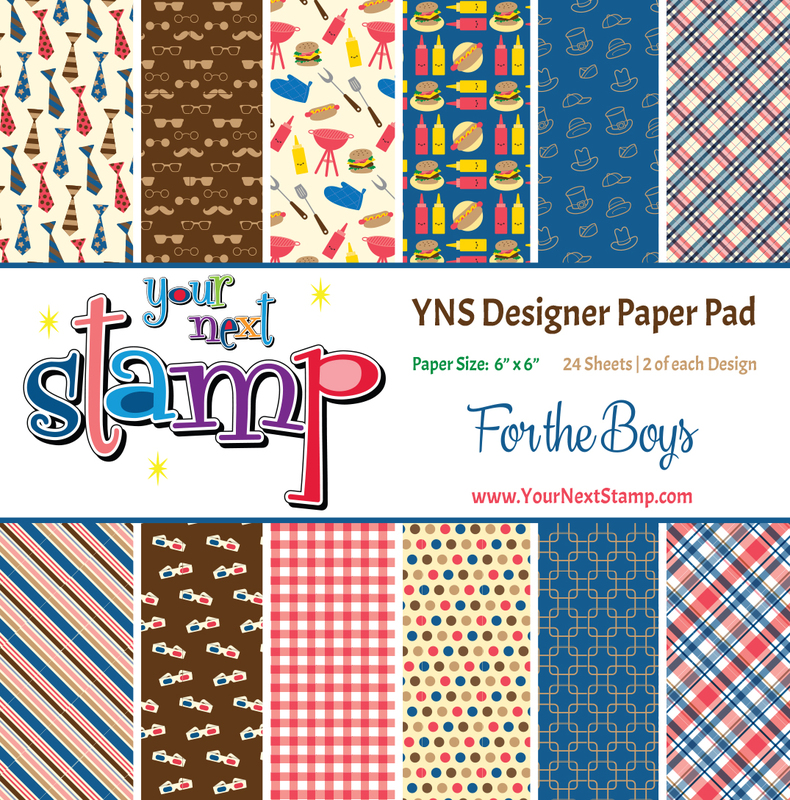 Today, I'm sharing in the YNS Feature Day blog post where our challenges was to create a project using two or more stamp sets. Well, I may have gotten carried away ;) There are just so many choices! 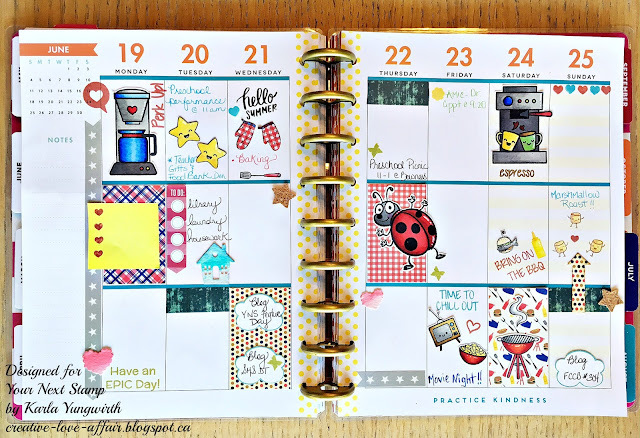 I wanted to pretty up my planner a bit this week, so I decided to use these fun stamps, Distress Oxide Inks and Papermate InkJoy pens to decorate my Happy Planner. I cut the happy stars away from the cute penguin who is holding them in the Waddles Rainbow Fun stamp set after I stamped them. Just by masking or cutting away parts of your image after stamping you can get even more uses from your sets! 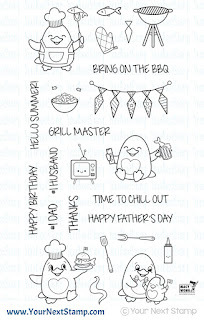 I used some of the paper from the new For The Boys 6x6 paper pad on my planner spread as well as using it as a base to stamp the adorable little oven mitts from the Waddles Bring On The BBQ stamp set. I watercoloured the sweet little house by cutting it out of watercolour paper using the Home Is Where The Heart Is die. 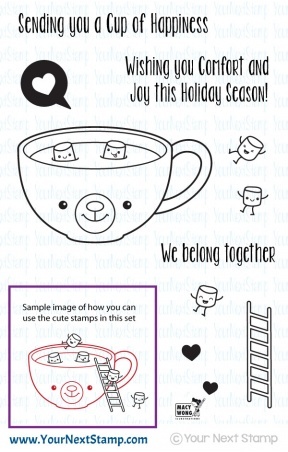 The little diecut hearts are actually the cute trees from this die, and I simply cut off the trunks. 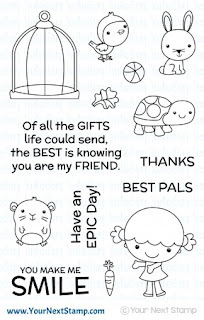 I used the Have An Epic Day sentiment from the Phoebe and Pets stamp set, and added the cloud stamps as an area to write in the blog posts I have due. 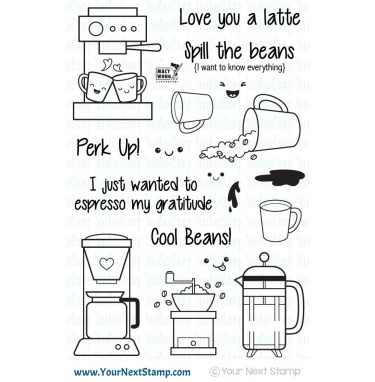 On Saturdays my hubby always makes me a latte, so of course I had to use the little espresso machine from the Perk Up stamp set again. The cute little marshmallows from the Cup Of Happiness work for camping or a backyard marshmallow roast, even though this is more of a Winter stamp. I also used the tiny hearts around my pages and the cute heart bubble from this set beside my Monday morning coffee maker. 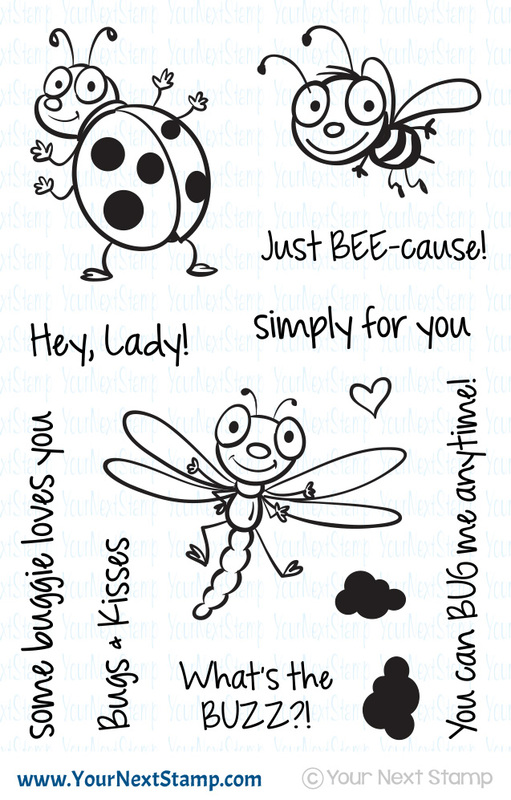 The little butterfly and flower icons in the Whatnot Sentiment Ten stamp set were great to add to the planner. If you look for the tiny stamps included in a lot of the sets you have, you'll probably be surprised at how you can make them work in your planner! 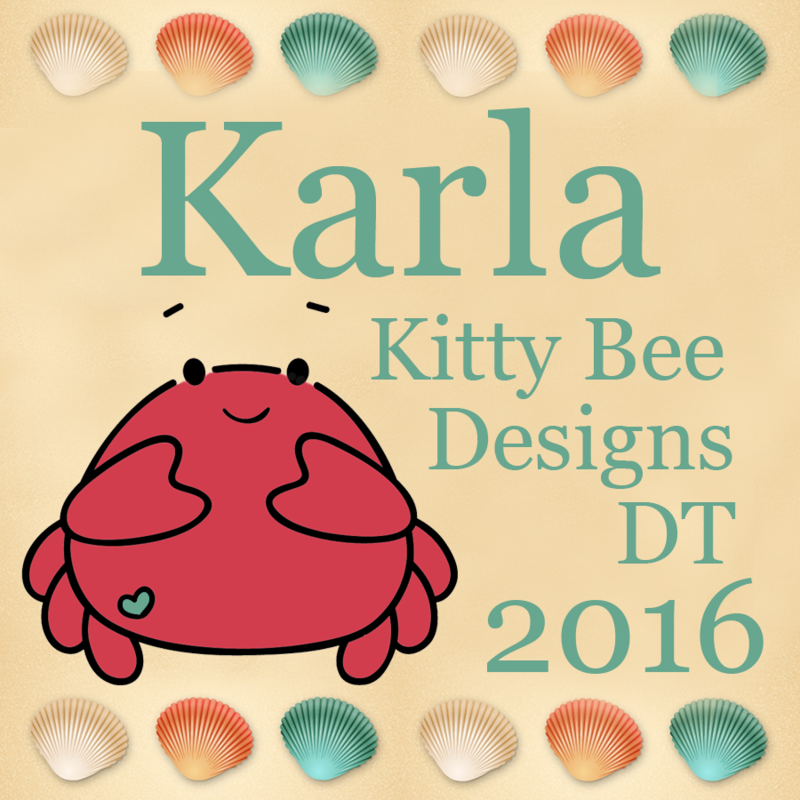 The cute little ladybug from the Bugs and Kisses stamp set was great to add to the day we are going to my daughter's preschool picnic! 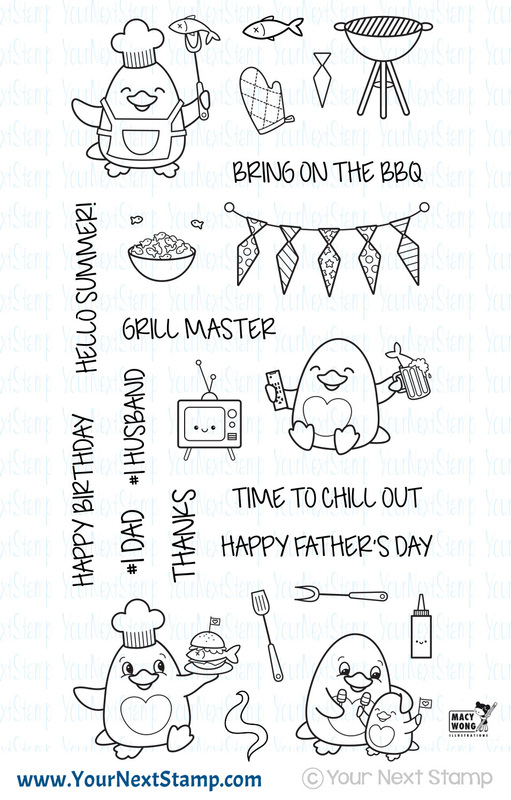 And what is more perfect for the weekend than to grab some cute stamps from Waddles Bring On The BBQ for a movie night and BBQ?!! I added a bit of washi tape and a couple SpiegelMom Scraps Cork Stars. Thanks so much for joining me today! 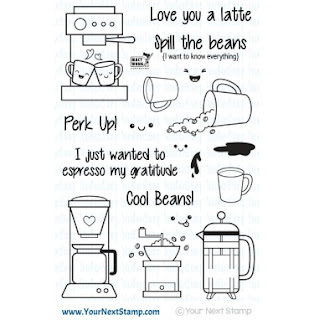 Be sure to head over to the Your Next Stamp blog to see all the inspiration and leave a comment on the Feature Day blog post there for a chance to win a stamp set of your choice! !